superman is ready to save the world! Decked in his speedos, tights and cape, and a no-nonsense attitude. 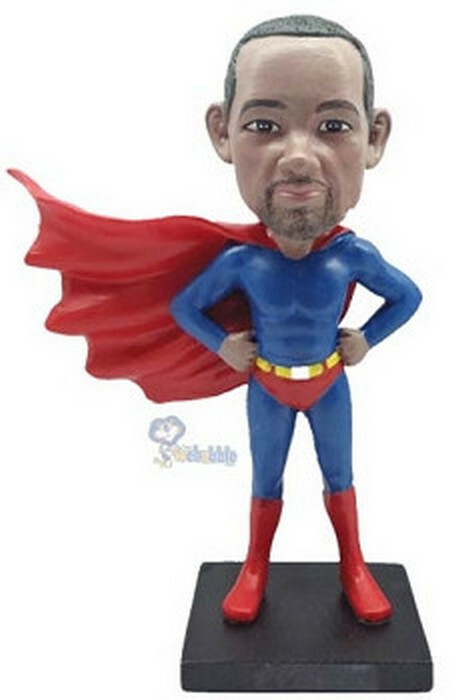 Get this superman custom bobblehead for birthday or father's day.